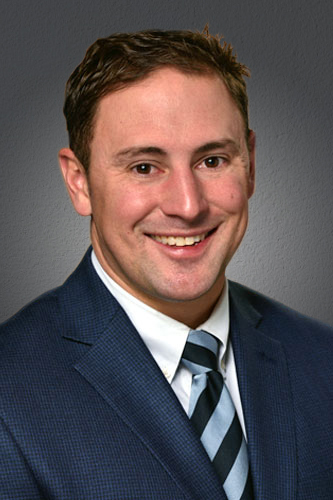 Mr. Benestad serves as Managing Partner of the Pittsburgh Office of HKM Employment Attorneys focusing on the representation of individuals and employees in all aspects of employment and plaintiff litigation. Prior to joining the firm, Mr. Benestad worked in the Commercial Litigation Groups of Dinsmore & Shohl, LLP, and Burns White, LLC, in Pittsburgh, PA while holding the position of Vice President & General Counsel at ECM Energy Services, Inc.
Mr. Benestad has also tried over 40 courts-martial and administrative discharge proceedings while serving in the Air Force JAG Corps from 2008 through 2013 as a first chair trial and defense counsel. He further deployed to Baghdad, Iraq, as the Central Criminal Court of Iraq Legal Liaison Officer and Counter Terrorism Service Legal Advisor, facilitating collaboration among Iraqi Ministries, Legal/Targeting Directorates and Judges improving target development, warranting and interrogation techniques. As a resident of Wexford, Pennsylvania, Mr. Benestad enjoys golfing, skiing, trail running and marathons. He paces various groups at the Pittsburgh Marathon and served as the U.S. Elite Women’s Olympic Trials Qualifying Time 2:43 Group Pacer in 2015. He has run the Boston Marathon every year since 2008 with the goal of completing twenty-five straight.